Is It Good? 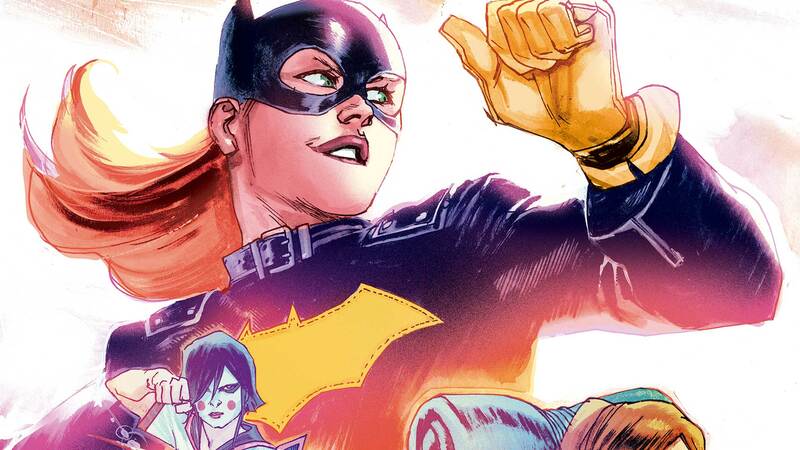 Batgirl #1 Review – AiPT! It seems like all people were talking about this past weekend was the big spoiler in the Killing Joke animated movie involving Batgirl, but dammit that’s not in the same universe as the Rebirth series! What’s going on anyway and is it good? If you’re not familiar with Rafael Albuquerque and you’re picking this book up you’re going to figure out why he’s one of the best in the business very fast. Then you’ve got cartoonist and writer Hope Larson (always good when the writer is an artist as they understand visual storytelling!) writing this one and we’re in very good hands. Sometimes a character can go through the motions when set in one location. Gotham is a character in and of itself, but it also dictates the types of stories you can tell. Enter Japan, where Babs is going on holiday to interview a 104 year old ex (or maybe not) superhero. Along the way she runs into old family, a Sailor Moon lookalike villain, and possibly finds a new direction in becoming better. Larson infuses interesting Japanese elements into the story too and it feels like she’s done her homework. On top of that the 104 year old superhero is compelling as heck and works well to make Babs question how good she is herself at being a superhero. Fans of Barbara should really enjoy this issue because the dialogue is so well written. As she goes in between Japanese and English (with red signifying Japanese) we get a sense that Barbara is wide eyed and open for adventure. Even when she’s taking on the villain she has a bit smile on her face and her positivity is infectious. She’s likeable from beginning to end; Batgirl #1 is a journey you won’t want to quit anytime soon. Albuquerque draws a fantastic issue with one hell of an action sequence that uses plenty of tricks to drive the energy of the scene along. I really love how he makes these characters pop too, with ben-day dots used here and there to lift Batgirl off the page and enhance the kinetic energy within the panels. A lot of Barbs’ positivity shines though due to Albuquerque’s use of facial expressions and they’re very loud and fun. The color really pops too and Dave McCaig does a fine job throughout. I don’t know why, but I get an Indiana Jones vibe when Barb is out of costume due to the use of greens and light browns and maybe this is on purpose. The letters by Deron Bennet are great as well and I enjoy the bits of Japanese that shows up in the word balloon so to convey what they are speaking. Not really! I didn’t remember Babs had a stepbrother, but maybe that’s on me? A well placed flashback panel did convey they grew up together, although I did wish it was confirmed a bit more. This is a joy to read. Batgirl is incredibly endearing and the art is vividly alive; it’s official folks — Batgirl has never been better.